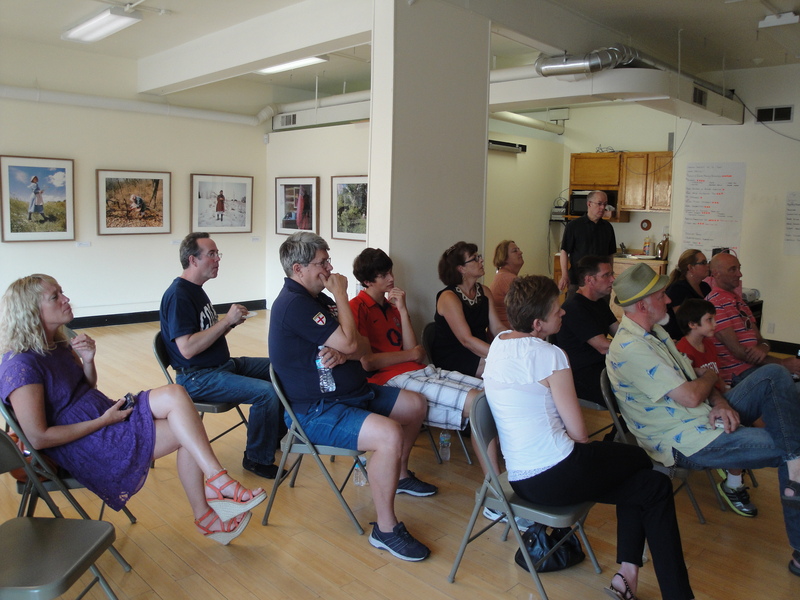 Photos from a talk/book signing I did at the Milwaukee Artists Resource Network office at 5407 W. Vliet St. in Milwaukee on August 1. We had a great time, meeting up with new and old friends. 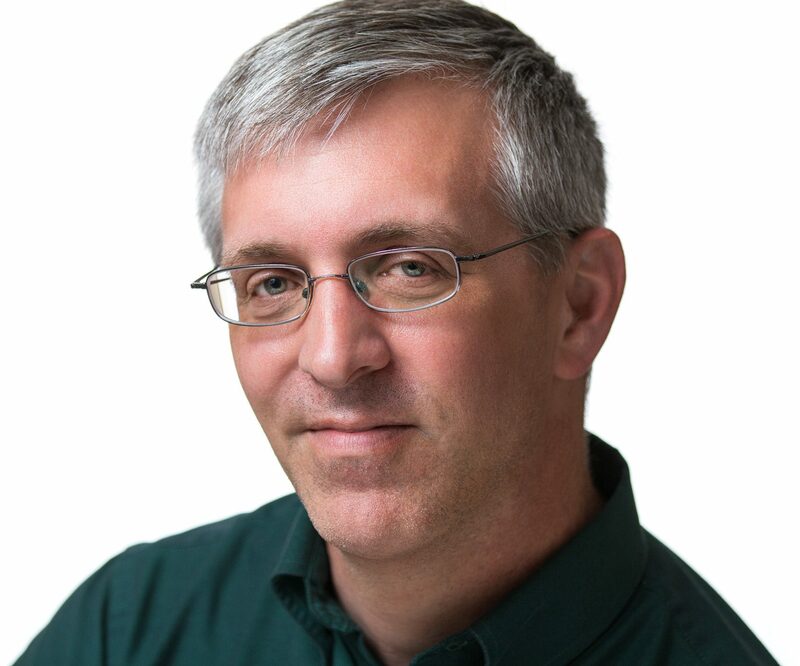 Thanks to MARN, especially Mark Mantel for his interest and for setting things up, and Dan Kirchen, a former high school cross country and track teammate of mine who helped set up the projector. Thanks to my wife, Kimberly for all her help, and thanks to everyone who came. 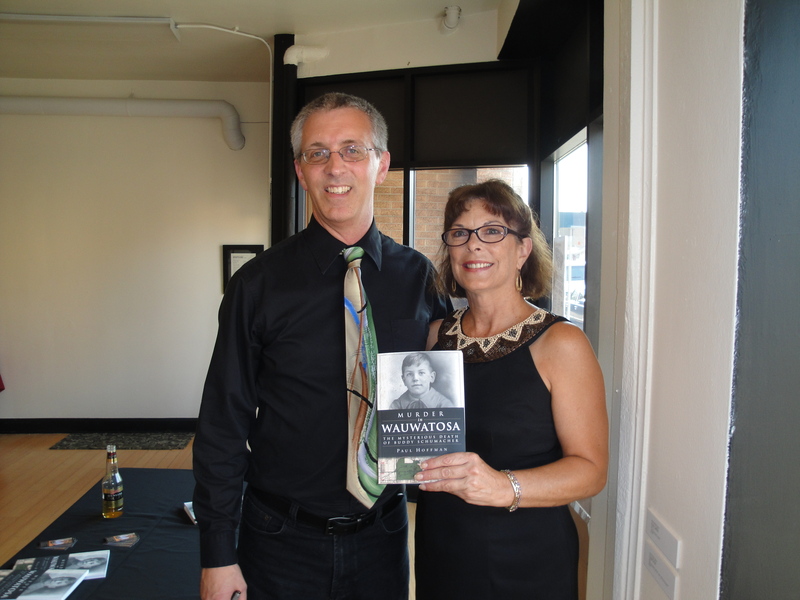 Me, speaking about my book, “Murder in Wauwatosa” at the MARN office, 54th and Vliet, Milwaukee, on Aug. 1. A photo projected on the wall is of Buddy Schumacher’s family at a dinner table in 1925. Buddy had gone missing a few weeks earlier. — at Milwaukee Artists Resource Network. 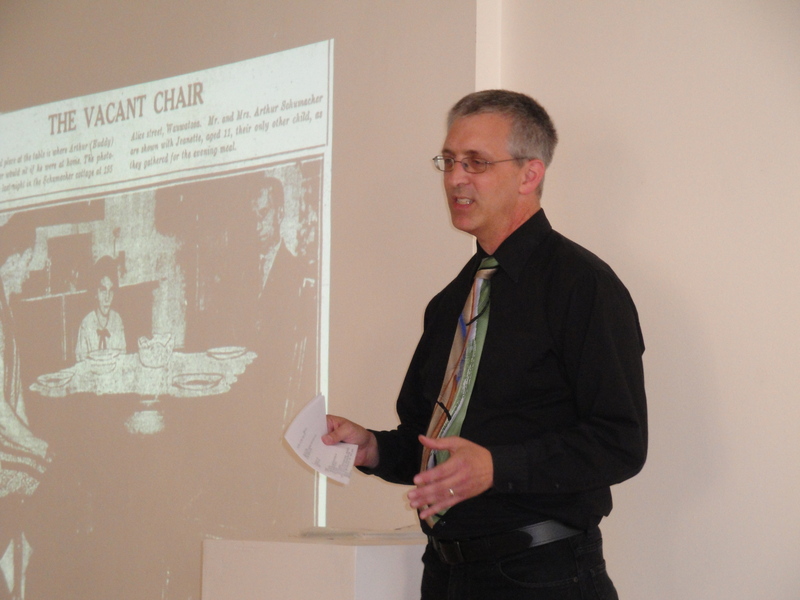 Me, speaking about my book, “Murder in Wauwatosa” at the MARN office, 54th and Vliet, Milwaukee, on Aug. 1. The audience is gracious enough to pretend to listen. An old photo of Arthur Schumacher, Buddy’s dad, is shown. 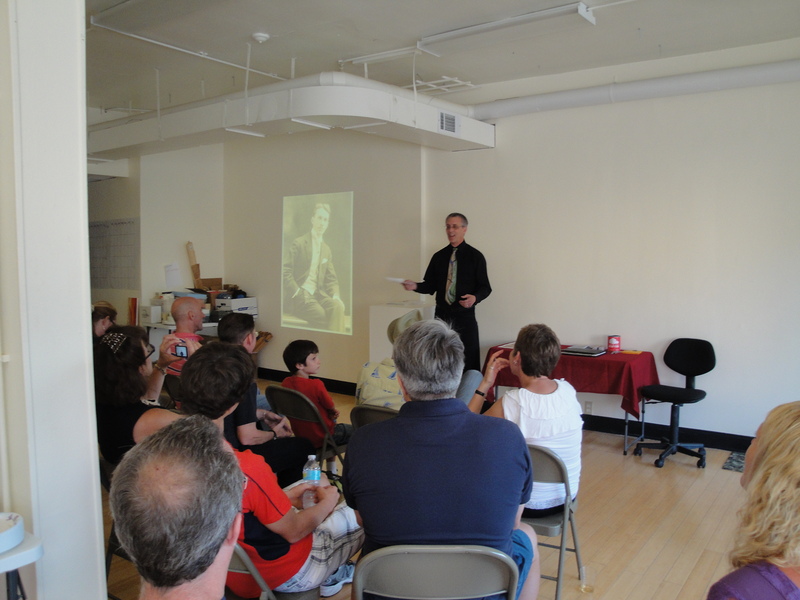 Me, speaking about my book, “Murder in Wauwatosa” at the MARN office, 54th and Vliet, Milwaukee, on Aug. 1. Once again, the audience pretends to be having a good time. My wife and I at the MARN gig on Aug. 1. My cousin Mary and me at the MARN gig and book signing. My first cousin once removed (yes I know how to figure that stuff out) Max and I at the MARN thing. 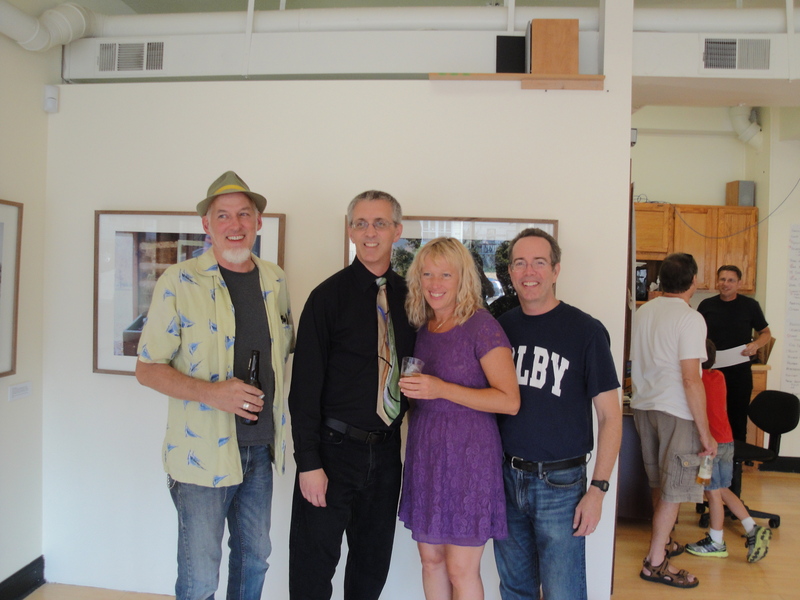 Me (second from left) at the MARN gig with, from left: Laird Knight, me again, Michelle Gurnee and Art Mellor. 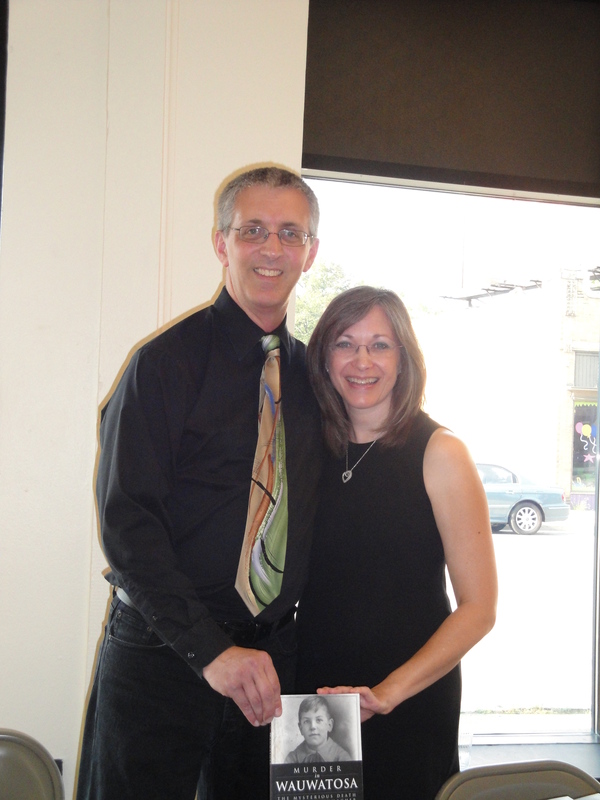 — with Laird Knight and Michelle Gurnee at Milwaukee Artists Resource Network.